Ever since we began creating the autonomous impact protection vehicle (AIPV) two years ago, we have been asked a significant amount of questions about the truck and its technology. Understandably though, as it is the world’s first autonomous TMA truck! With the live demonstration of the AIPV in Fort Collins, Colorado on Friday, we decided it would be a great time to provide you with answers to the most frequently asked questions about the AIPV. The autonomous impact protection vehicle, otherwise known as the AIPV, is an autonomous TMA truck. 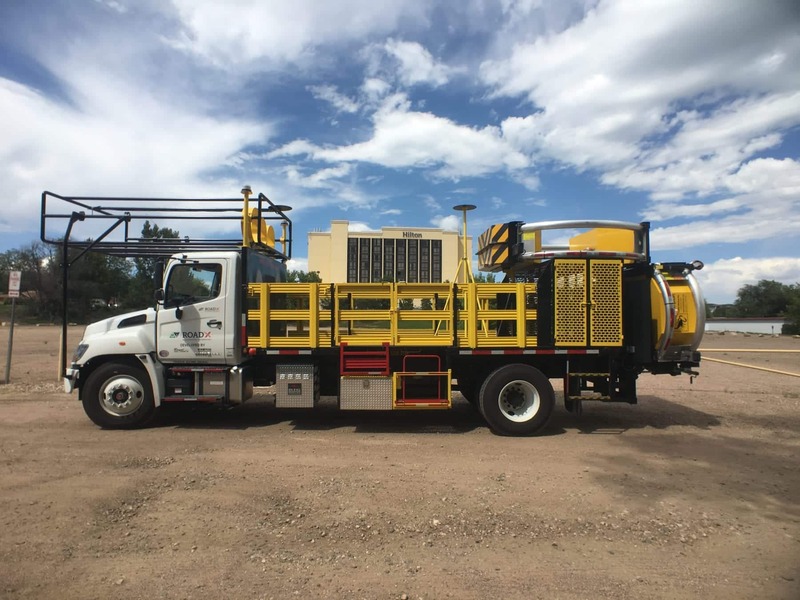 While both trucks serve the same purpose, to protect workers in the work zone from oncoming traffic, the AIPV does so while also removing the driver from the truck. 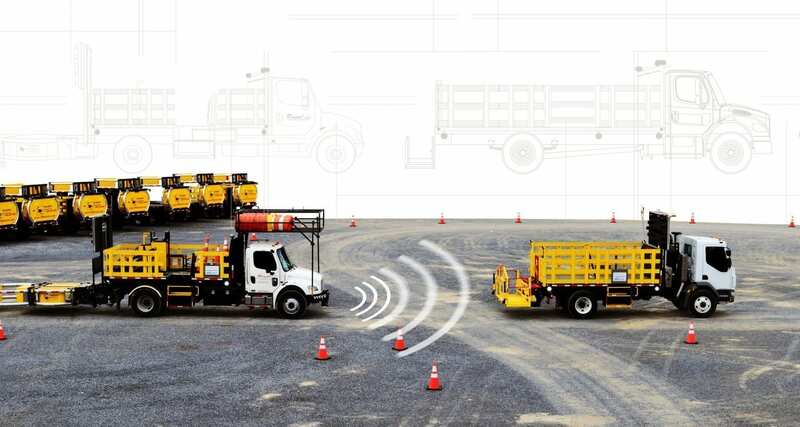 Drivers of TMA trucks are often significantly injured or even killed when the truck is struck by an errant vehicle. The AIPV represents a significant jump in work zone safety as it removes man from the truck designed to sustain the impact of oncoming traffic. How does the AIPV operate? Operation of the AIPV will be conducted in a configuration called Leader/Follower to replicate real-world operation. The lead vehicle, which will be human-driven, is outfitted with a NAV Module that transmits GPS position data called “eCrumbs” for the Follower vehicle (AIPV) to use. The AIPV then uses the “eCrumbs” to follow the exact path and speed of the Leader vehicle at each point along the route. Can the technology be hacked? A major concern we have faced with the AIPV and its Leader/Follower technology is the possibility of it being hacked. We completely understand this concern and have combatted it by using NSA-level encryption, which makes the AIPV incredibly difficult to hack into. Will the AIPV put Americans out of work? Another question we are frequently asked is if the AIPV will put Americans out of work because it operates itself. While the AIPV will not need a driver, that job is not lost. That worker is still extremely important to the operation. The first thing they need to do is drive the AIPV to the work zone. Then, while the operation is ongoing, they are also needed to observe the AIPV from the lead vehicle. The observing worker can reset the truck if something gets in front of it or stop it instantaneously, if necessary. If the AIPV crashes, who is at fault? Since the AIPV does not have a driver, it is being insured as a product. Royal Truck & Equipment Inc. has partnered with Shepherd Insurance to provide their property and garage insurance coverages. Simply put, if the AIPV crashes, we at Royal are insured to take care of the issue. If you have a question about the AIPV, feel free to ask us by submitting the question form at the bottom of the Autonomous page of our website! Be sure to look out for more content each day of Autonomous Week on our website as well as through our social media channels!